COPrevent: Million Hearts® 2018 Hypertension Control Champions! Million Hearts® 2018 Hypertension Control Champions! Congratulations, Million Hearts® 2018 Champions! 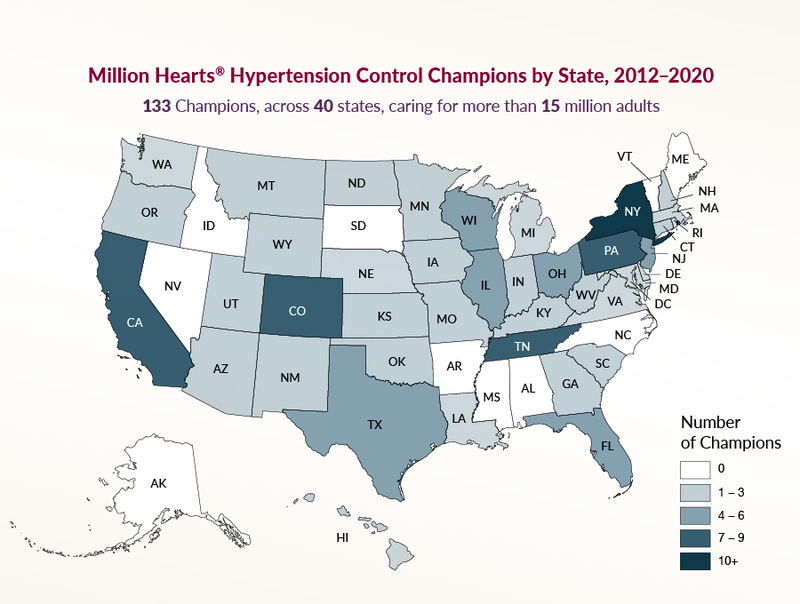 Million Hearts® has recognized 18 health care practices and community health centers as 2018 Hypertension Control Champions. In their work, these Champions were able to achieve blood pressure control for at least 80% of their adult patients with hypertension. Together, the 2018 Champions cared for more than 53,000 adults. Of special note, 4 out of 18 practices selected as 2018 Million Hearts Hypertension Control Champions were from Colorado!